The interactive scheduling tool helps you determine the most productive timing for the next irrigation for your unique circumstances. It uses the same ETo information in the tables below and operates with Microsoft Excel on mobile devices and desktop computers. For more detail about using evapotranspiration data refer to this Agriculture Victoria fact sheet “What is evapotranspiration and how do I use it to schedule irrigations” or this scientific paper. The intention of this service is not for this information to be used in isolation when making decisions about irrigation timing. ETo data provides another handy tool in your irrigation ‘tool box’ and needs to be used in conjunction with other preferred scheduling methods and updated weather information. If you have any questions, comments or feedback related to this service please don’t hesitate to contact me, Rob O’Connor at robert.oconnor@ecodev.vic.gov.au. irriSAT (Ctrl click) is a free Australian web based irrigation scheduling tool that uses satellite ‘vision’ to tailor irrigation scheduling for your paddocks and crops. + Reference evapotranspiration (“ETo”). Refers to the evapotranspiration from an actively growing, well-watered, grass stand 120mm in height. # ETo and rainfall data sourced from the Queensland government’s SILO web site based on climate data provided by the Bureau of Meteorology. 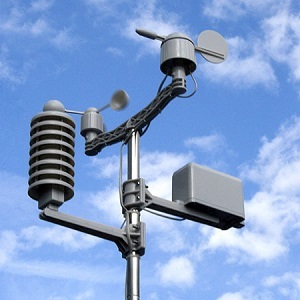 This is “triangulated” data – based on calculations and measurements from the closest weather stations which are not on-site. Comment: SILO ETo data generally appears to be slightly lower than BOM ETo data. ~ “Rainfall R.” Where a rainfall event is less than 2mm it is unlikely to be listed. Any rain in excess of that which fills the soil profile (or reduces ‘cumulative ETo-R’ back below the estimated RAW) also needs to be disregarded in terms of plant available moisture. Because rainfall can vary over short distances, irrigators are encouraged to collect and use their own rainfall figures for their farm. ^ The “Average (daily) ETo” is simply calculated by dividing the total weekly cumulative ETo by 7 days. > “Spray irrigators need/ed to apply.” This figure is based only on evapotranspiration minus rainfall (“ETo – R”) and assumes a good spray uniformity and application efficiency. If a spray irrigation system has compromised spray uniformity or application efficiency, then more water will need to be applied to best meet plant needs. Typically with pressurised irrigation systems, irrigations will be applied more regularly than once per week in summer to optimise plant growth. ¥ “Next weeks forecast reference evapotranspiration – pasture irrigation requirement.” These figures are sourced from the BOM. Unfortunately this is a ‘fee for service’ arrangement and the forecast ETo figures are not publically available.